In this day and age when so many promote dialogue as a primary mission of the Church, it is important to revisit the words of the late Romano Amerio (1905-1997). Professor Amerio taught Greek, Latin, and Philosophy for over four decades at the Academy in Lugano, Switzerland. He also served as a peritus for Bishop Jelmini of Lugano in studying the preparatory schemas for the Second Vatican Council. In the below excerpts from Iota Unum, Amerio’s classic study of the Church in the twentieth century, he explains why the modern emphasis on dialogue is neither apostolic in origin nor Catholic in practice. “In Scripture, evangelization proceeds by teaching not by dialogue. 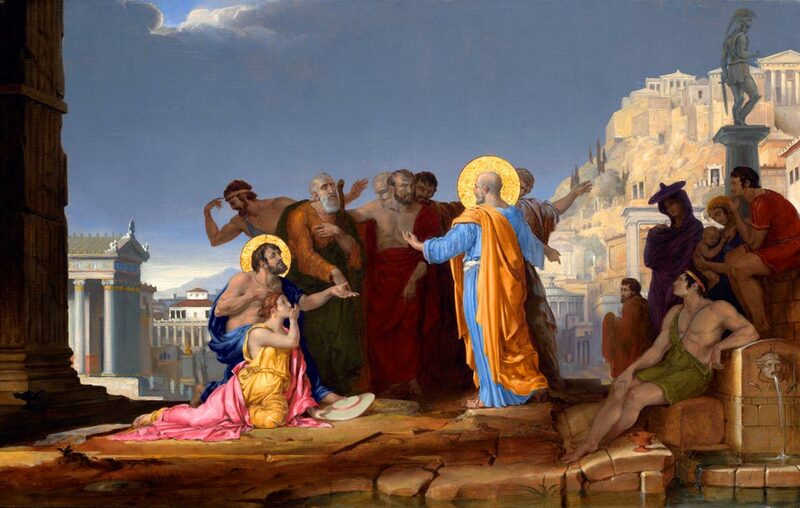 Christ’s last command to his disciples was matheteuein and didaskein, which literally means make disciples of all men, rather as if the Apostles’ task consisted in leading the nations to the condition of listeners and disciples, with matheteuein as a preliminary grade of didaskein, to teach. “We may conclude by saying that the new sort of dialogue is not Catholic. “Firstly, because it has a purely heuristic function, as if the Church in dialogue did not possess the truth and were looking for it, or as if it could prescind from possessing the truth as long as the dialogue lasted. “Secondly, because it does not recognize the superior authority of revealed truth, as if there were no longer any distinction in importance between nature and revelation. “Thirdly, because it imagines the parties to dialogue are on an equal footing, albeit a merely methodological equality, as if it were not a sin against faith to waive the advantage that comes from divine truth, even as a dialectical ploy. “Fourthly, because it postulates that every human philosophical position is unendingly debatable, as if there were not fundamental points of contradiction sufficient to stop a dialogue and leave room only for refutation. Posted on December 12, 2015, in liturgy and tagged Catholic dialogue, dialogue, evangelization, iota unum, romano amerio. Bookmark the permalink. Leave a comment.